SEO: What's It Got to Do with Me? According to Search Engine Journal, search engine marketers are frequently bludgeoned with the assertion that SEO is dead. If you’re a digital marketer but not an SEO expert, you could be forgiven for wondering whether this is true, and if so, why your organisation still allocates budget and resources to SEO efforts. Here at Circus Street, we’re firmly convinced that SEO is alive and flourishing. According to Accenture, 88% of consumers search online before making a purchase. Google alone handles 40,000 search queries per second worldwide, and Marketing Profs report that SEO is 85% more likely to drive traffic to your site than pay per click advertising. The sheer number of websites that exist means that you simply can’t afford to ignore SEO or to leave it out of your digital marketing strategy. Hopefully, we’ve now debunked the ‘dead’ myth, but you might still think that SEO doesn’t have anything to do with your role, and that it’s an arcane specialty full of shady practitioners, jargon such as ‘keyword cannibalisation’, ‘canonical tags’ and ‘XML sitemaps’ and dependent on mysterious and ever-changing algorithms. In fact, SEO is very much related to what you do, even if you’re a web designer as opposed to a marketer. Many SEO experts who are asked to optimise an existing site have been frustrated to find a site that loads really slooowly, a navigation menu that reads Home | About Us | Services | Products | Contact, and filenames such as “www.example.com/content/article1” or “www.example.com/products/B009712HTL”. 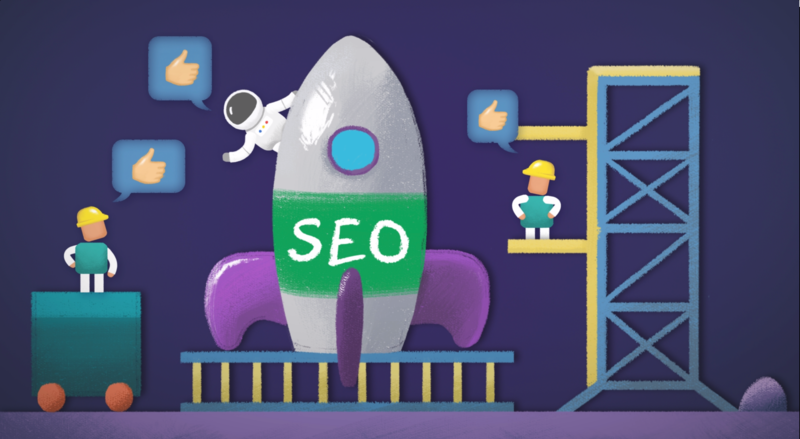 Not a keyword in sight – and it’s much more difficult to fix these types of SEO challenges when a site is already up and running! So if you’re not an SEO expert, and search marketing doesn’t really come into your day-to-day role, why should you even bother learning about it? Well, if you work in eCommerce, you’ll already know how important search is for customers finding and browsing your site, especially on mobile devices – 70% of smartphone users rely on their devices for shopping. And if your company has bricks and mortar locations, search becomes even more important: almost everyone with a smartphone does ‘near me’ searches. In addition to mobile devices, the growth of digital personal assistants such as Cortana and Amazon Echo mean that 40% of adults in the US use voice search at least once a day and Comscore predicts that by 2020 half of all searches will be voice-activated. So you need to work closely with your SEO folks to make sure that your eCommerce site is optimised for mobile, local and voice search. In the content creation area, you’ve probably heard that search engines are now increasingly focused on content quality and the user experience when determining where your website might show in the search results pages. It used to be thought that longer-form content was really only useful for acquiring potential customers when they’re first looking for products or services – which we know as the ‘Awareness’ stage of the customer journey. However, users are now often looking for more in-depth information around products while they’re making purchase decisions and are close to a transaction. Visitors, especially younger ones, want an immersive experience that makes them feel connected to the brands that they do business with. So, it’s important that all of your content is search-engine friendly to make sure that it can be found by the people who are ready to spend money. And for the communications and PR folks, all of those valuable backlinks that your SEO colleagues are able to attract are great for growing your online reputation as thought leaders and industry experts, and can often lead to additional earned media opportunities. We hope that we’ve persuaded you to get to know your SEO friends better, and if you’d like to know more about how it’s done and what all the jargon means, we’ve just created brand new courses on SEO Strategy, On Site SEO, Off Site SEO, SEO for eCommerce and SEO for Mobile that will explain it all in plain English – and with totally legitimate and above board tactics. But sadly, we don’t know what’s in the algorithms either!